allows full plantarflexion and dorsiflexion. For patients who have excessive pronation and/or supination. 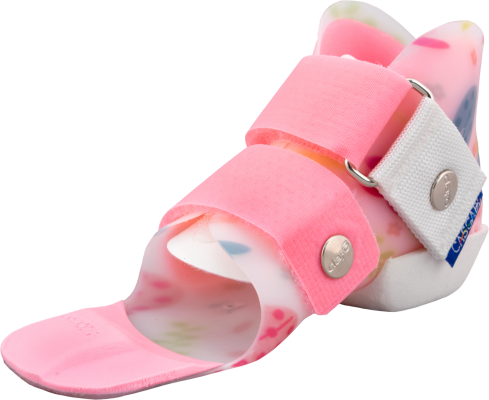 For patients who have delayed development with very low tone pronation and sensory issues. For patients who need high levels of specific foot correction but have adequate ankle control for functional level. For patients who engage in frequent floor activities requiring free ankle movement. Choose the anterior/posterior wrap-around strap option when using the DAFO 4 to address Moderate High Tone Pronation/Supination or Mild Swing Phase Inconsistency. Choose the posterior strap option when using the DAFO 4 to address Mild Excess Plantarflexion and/or Mild Excess Knee Hyperextension. This product video looks at the function and features of the custom fabricated DAFO 4. This before-and-after patient video shows a young boy who exhibits strong low tone pronation. 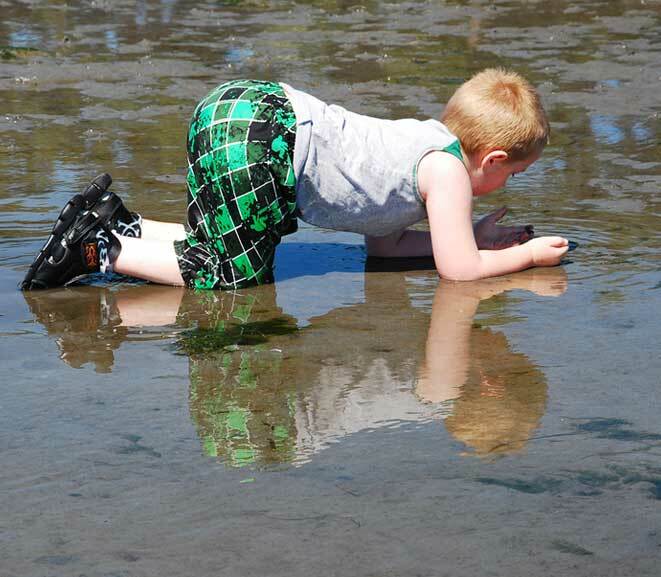 He shows distinct heel eversion, marked forefoot abduction, and an absent medial arch. The after video shows him in a pair of custom-fabricated DAFO 4 orthoses with noteable improvements in foot position, stability and gait. Because of his fully-correctable alignment, this patient would also be a good candidate for an off-the-shelf solution: the JumpStart Leap Frog. 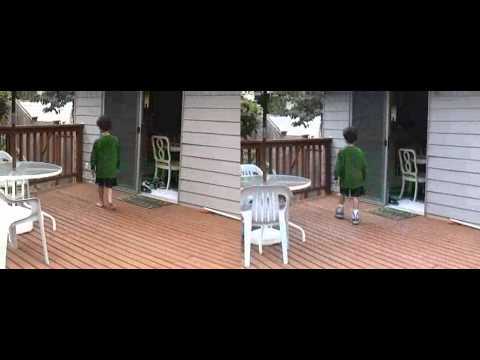 This before-and-after video shows a young boy who exhibits high tone pronation benefitting from the stability provided by a pair of the custom-fabricated DAFO 4 (supramalleolar orthoses). The DAFO 4 comfortably surrounds the foot, providing the patient with reliably stable support. 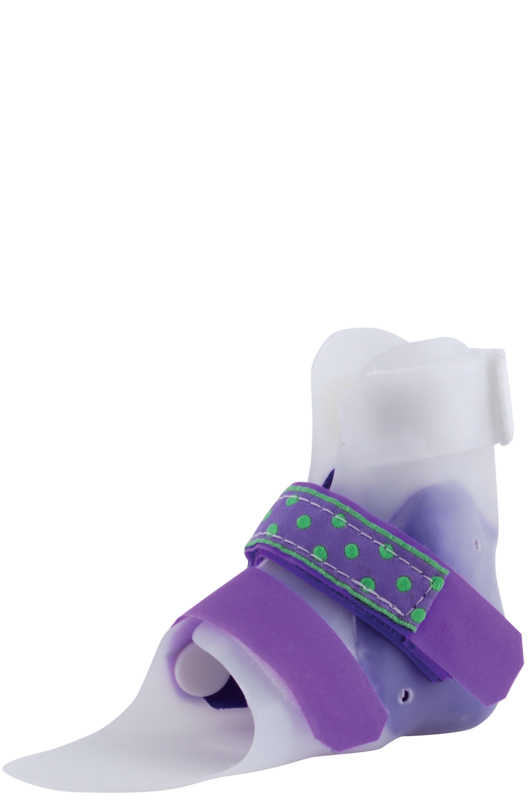 With the foot comfortably held in a good functional position, the patient gains confidence in the ability to stand and bear weight, encouraging the use and development of walking skills. 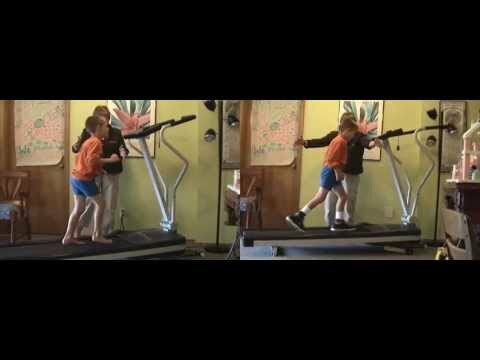 This before-and-after video shows a young boy who exhibits high tone pronation benefitting from the stability provided by a pair of custom-fabricated DAFO 4 Softy orthoses. The DAFO 4 Softy comfortably surrounds the foot, providing the patient with reliably stable support. With the foot comfortably held in a good functional position, the patient gains confidence in the ability to stand and bear weight, encouraging the use and development of walking skills. 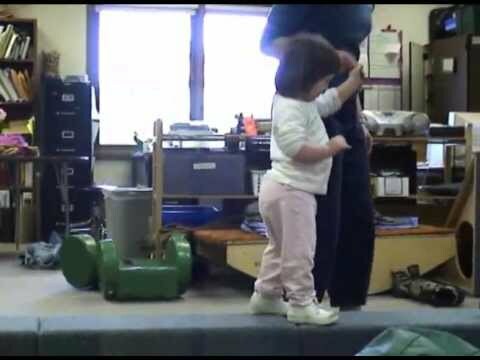 This video follows 4-year-old Valerie during a pediatric physical therapy session. Valerie has a diagnosis of cerebral palsy (spasic diplegia). She exhibits strong pronation and has spasticity in her lower extremities. Valerie's physical therapist, Kathy Shapiro, narrates this video and talks about the various exercise performed during the session, and their purpose, including use of a treadmill. Valerie wears a pair of custom fabricated DAFO 4 orthoses. 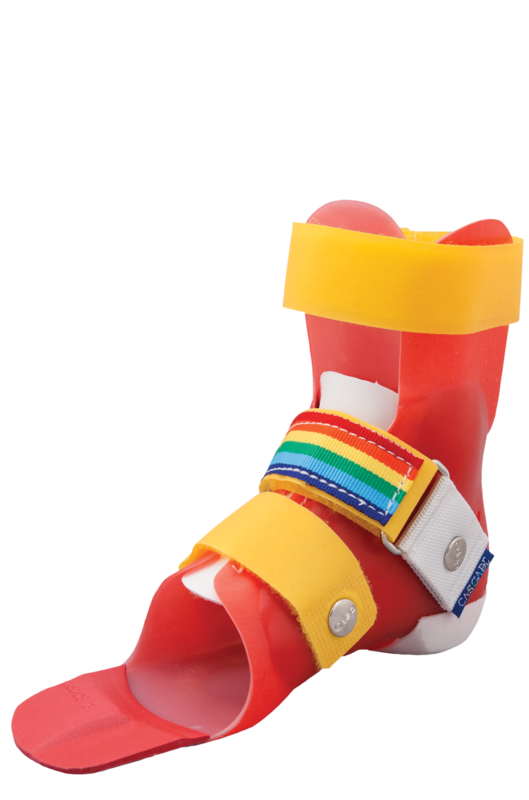 Bobby, an 8-year-old boy with spastic diplegia, benefits from wearing Cascade Dafo's custom-fabricated DAFO 4 SMO-style orthoses. This video is narrated by Bobby's physical therapist, Kathy Shapiro, and shows Bobby walking with and without orthoses, and using the orthoses during physical therapy sessions. 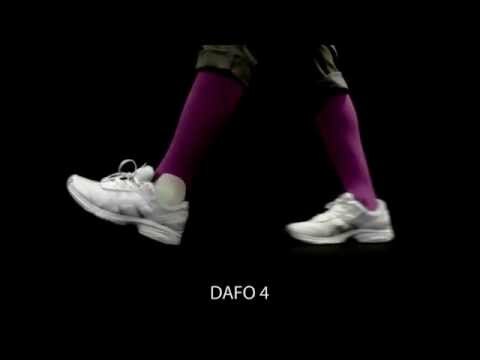 This video demonstrates how the leg and ankle move in the DAFO 4. 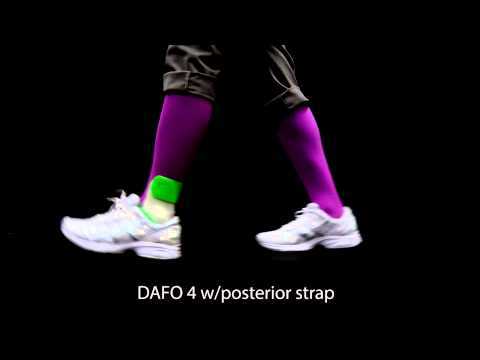 This video demonstrates how the leg and ankle move in the DAFO 4 with a posterior strap.